India’s former captain Sourav Ganguly was heavily responsible for the side’s success in the early 2000s. Under his leadership, the men in blue scripted several historic victories, especially in the foreign lands. Everything was going right for the Prince of Kolkata until Gregg Chappell was appointed as the coach. The views of the captain and the coach were miles apart which created a rift in the team. Ganguly was removed from the captaincy and also dropped from the side. From then on, he worked hard on his game but remained in and out of the side. He recently revealed that he decided to leave the game as he had had enough of it. “I retired because at some point you’ve had enough. The reason is not because you have had enough of playing the sport but because you’ve had enough of getting selected all the time. Dropped/selected that’s part and parcel of sport,” said Ganguly as quoted by IBTimes. The left-hander hung up his boots at the age of 36 while some players have gone on to play further. “All top sportspersons in the world you look at, Diego Maradona could have played more when he retired; Rahul Dravid retired in 2011, that year he got three or four hundreds. In sport you have to make way for someone else,” he added. On the period of Chappell’s stint, he said, “The Greg Chappell incident was an eye-opener for me. It made me a better person. Before that, from 1995-2006, the graph was only up. I never missed a series, I was captain of India for six years. The world was at my feet till 2006. Not many captains in the world would go from not being captain to not even being in the side. You look at Dhoni. He is not the captain of the team but look at the way Virat Kohli looks after him and they go about their job,” he said. 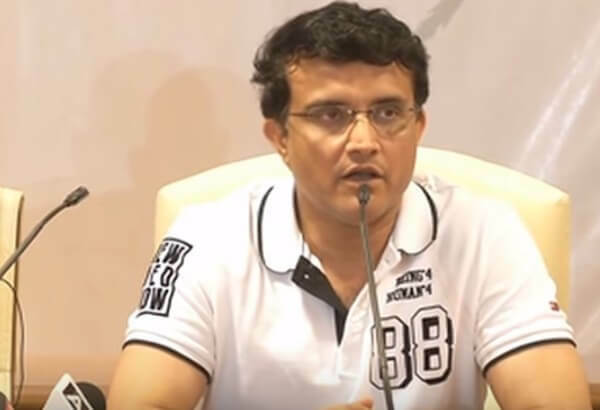 Sourav Ganguly also spoke about the time when he was out of the side and was struggling to make a comeback. He mentioned how Pakistan’s former skipper Imran Khan helped him rejuvenate and stay motivated. “It was tough but it made me a better person. I once met Imran Khan in Lahore during that period. He was actually following Indian cricket. We have a fantastic relationship, Imran and myself. We don’t keep in touch much. He said something to me which I always remember in life. When you fly high and see dark clouds you find a way to fly higher. I remembered those words during that period,” he mentioned. “I trained hard. I used to come to Eden Gardens. One day I got so angry because I wasn’t getting picked and did not know the reason for not getting picked because I was scoring runs everywhere. In those 10 years, I scored 10 and half thousand runs. I scored more than Sachin Tendulkar in one-day cricket during that period. But I never got picked in one-day cricket. So I did not know what to do,” said the former captain. “I was so angry that I started running at Eden Gardens. It was about 2006. I kept running at Eden Gardens. I kept running, running and running till I finished 21 laps. The last six or seven were just out of anger,” he added.